BE Creative Makeup, a budget brand that delivers great quality, released 6 shades of eyeshadowsticks. As I am a HUGE fan of eyeshadowsticks, I had to try them out. I got myself 5 of the 6 new shades. 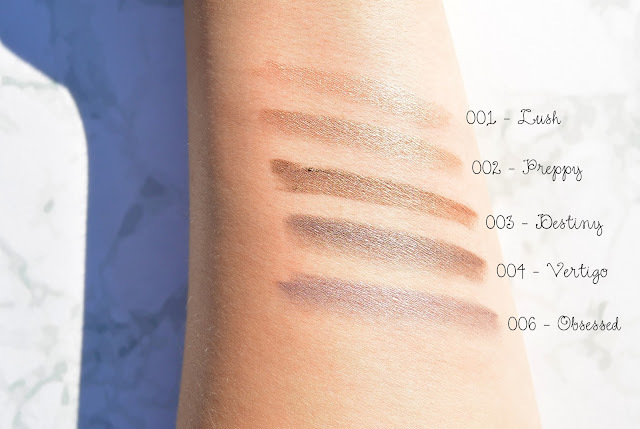 Let's check these eyeshadowsticks out! BE Creative Makeup is one of my favourite brands because they deliver great quality for a low price. 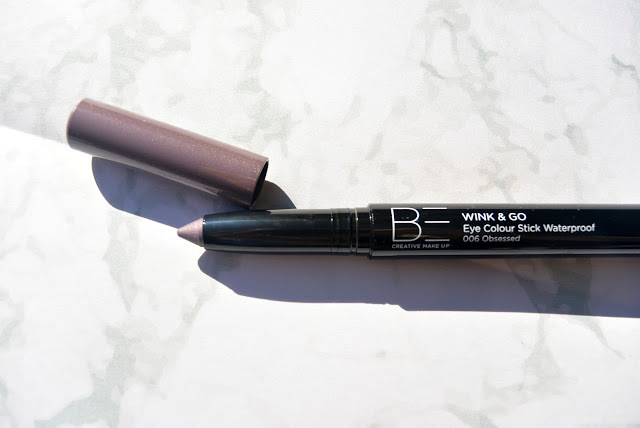 The new Wink & Go Eye Colour stick is a retractable eyeshadowstick. The special feature about this eyeshadowstick, is that it's waterproof. With a waterproof eyeshadowstick in your purse, you're always set for a nice look. 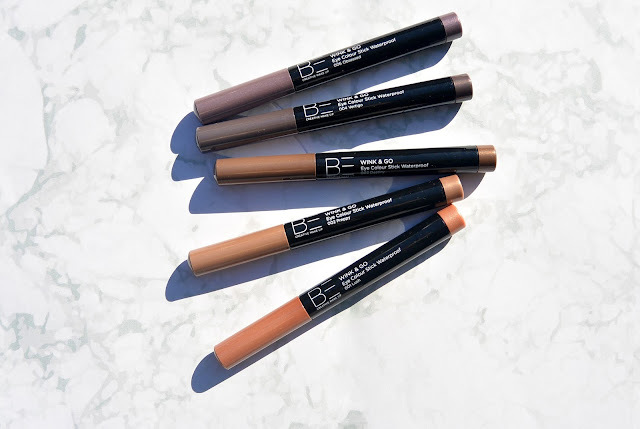 Because of the shape of the top and the rich texture the colour of the stick can be applied effortless, the colour can be blended very easily and the stick slides on the eyelids. 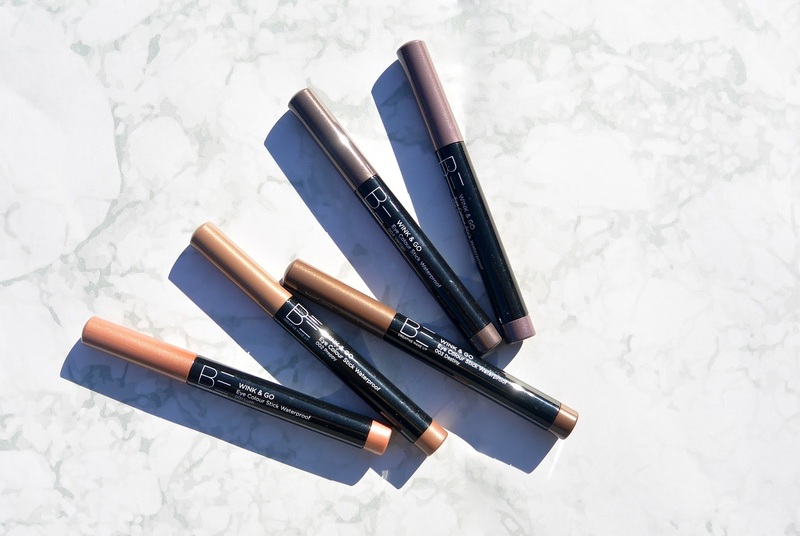 This Wink&Go Eye Colour Stick is a real multi-tasker, it can be used to apply a fine line on the eyes, but you can also create a smokey look with these eyeshadowsticks. I got myself 5 of the 6 colours. I didn't buy the color '005 - Midnight', because it is an intense blue colour and I don't use blue eyeshadow that often. In the picture above you can see the swatches from the five colours I bought. The eyeshadowsticks were very easy to apply and the pigmentation is really good in my opinion. 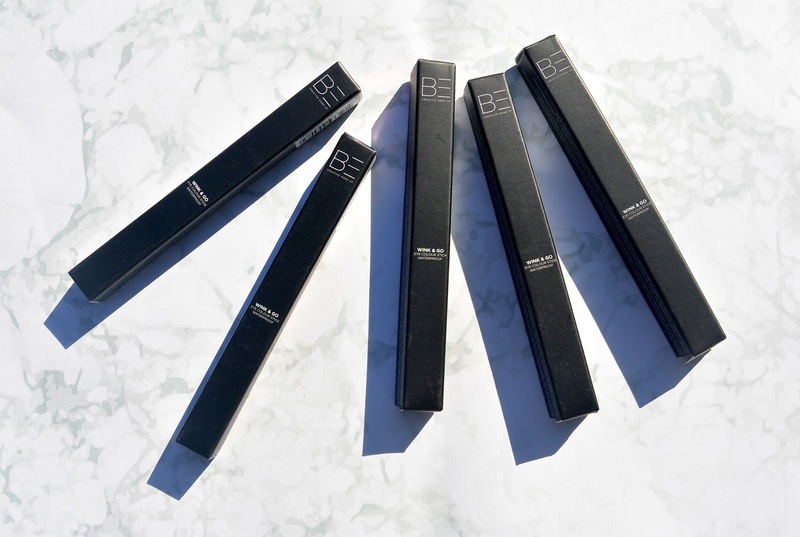 But I have to give you a tip; when you use these eyeshadowsticks by BE Creative Makeup, you have to blend out the colours with your fingers immediately after applying it. Otherwise the colour will be set on your skin and because of its waterproof formula it isn't easy to blend out after a while. Are you also crazy in love with eyeshadowsticks? Niet echt! Ik moet nog een héle goede tegenkomen :D Deze dan misschien (ooit) eens proberen!